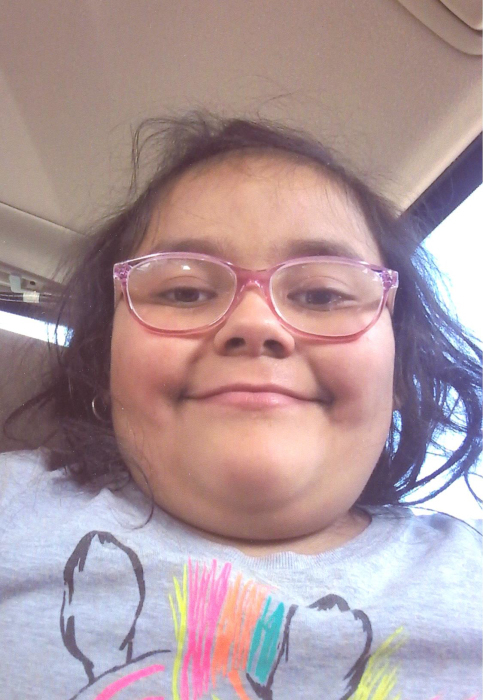 Yamilet Jalay Ibarra, 8, passed away Monday, April 1, 2019 in Graham. Rosary will be Thursday, April 4, 2019 at 6:00 p.m. in Morrison Funeral Home Chapel. Funeral Mass will be 2:00 p.m. Friday, April 5, 2019 at St. Mary's Catholic Church. Burial will follow in Pioneer Cemetery under the direction of Morrison Funeral Home. Yamilet was born October 7, 2010 in Graham to Amelia Hernandez and Adrian Ibarra. She was a student at Crestview Elementary School. Survivors; parents, Amelia Hernandez and Adrian Ibarra of Graham; sisters, Nancy, Natalie, and Dayana Ibarra; brother, Adrian Ibarra, Jr. all of Graham; grandparents, Juana and Delfino Hernandez of Graham and Nicolas Ibarra of Mexico; aunts, Flor Ibarra, Rosa Hernandez, Daisy Hernandez; uncles, Bulmaro, Erik and Raul Hernandez.